How to set up a task to be executed every X minutes on a Plesk server? The cron format for setting time of the task execution can be used. 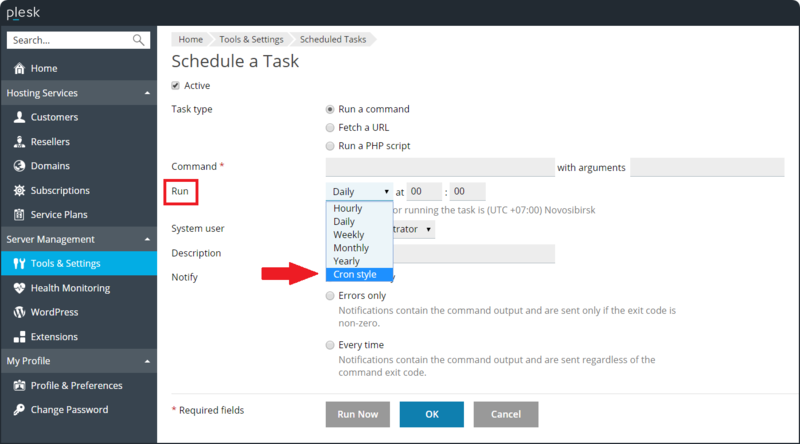 Go to Plesk > Tools & Settings > Scheduled Tasks, press the Add Task button to create a new task or click the already existing task. Note: using the "/" character is not allowed in Windows. Instead of this, it's required to place a comma-separated list for each execution time. Can you please review this article and update it if necessary to clarify the correct format for every x minutes? So, your examples are correct and I added them to the article. Thank you!